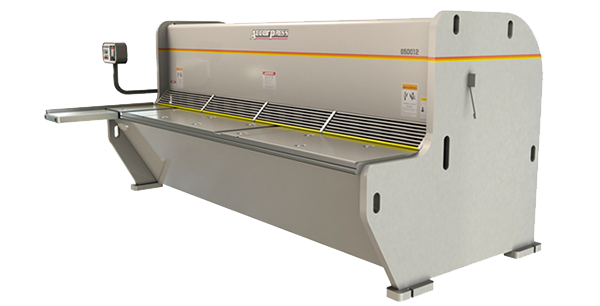 The robust Accurpress Accurshear CNC Frontgauge Table offers the most advanced precision system for gauging, including heavy duty material grippers that drive the material to the preset dimensions. 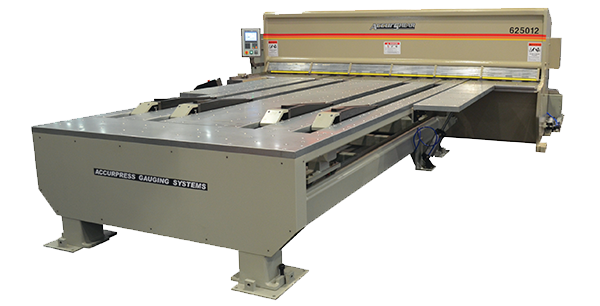 The robust Accurshear CNC Frontgauge Table allows for easy programing of all automation features and fast initializing of shearing production runs. 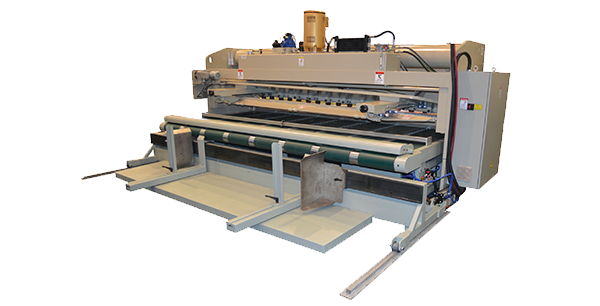 Maximize productivity with this automation cell, it completes shearing projects quickly and easily while drastically reducing labor costs. Equipped with clamping heavy duty clamping fingers for fast positioning of material and shearing accuracy.